Oswego Town was alerted for a large brush fire consuming many acres on Chapel Rd between Hall Rd and Rt 104A. First arriving Chief 3401, confirmed a large brush fire and requested Oswego Town units to step it up a little as the fire was starting to spread to a small barn. Oswego Town was assisted on the scene by Hannibal and Fair Haven FD’s, Oswego County Sheriff’s Dept. and NYS Forest Ranger. Cause of the fire was careless burning by a homeowner, despite the county wide burning ban that was in place. 8pm – New Street – Male general illness. 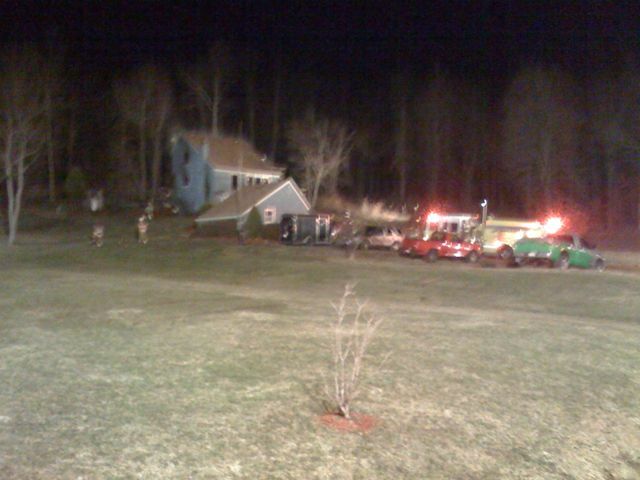 ~9pm – RIT Team mutual aid to Fair Haven – Farden Rd, Chimney fire. Cancelled soon after dispatch. ~10pm – Rathburn Rd between Furniss and Engels. 30’s male unresponsive due to an attempt/overdose. Patient transported ALS to Oswego Hospital by Oswego Ambulance.